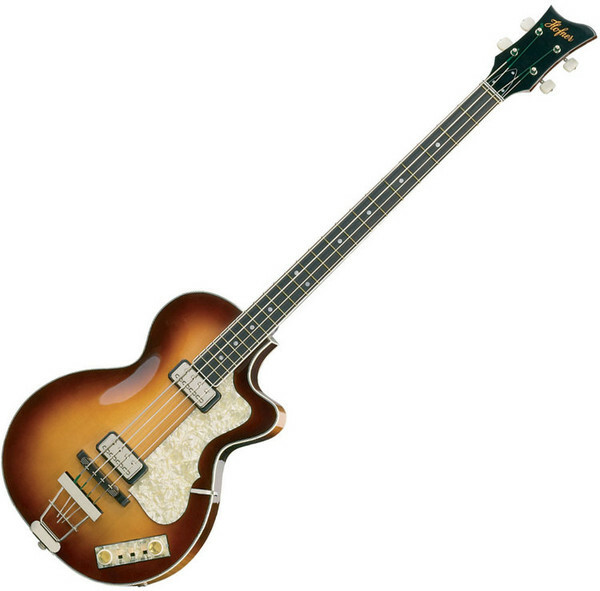 Hofner gives its classic Club Bass a modern look and feel with a cutaway design. The Contemporary version of the Hofner Club Bass offers the famous Hofner bass sound in an alternative cutaway design. Inspired by the orginal Hofner Club Bass from the 1960s, this electric bass guitar offers you the chance to own a piece of history with vintage looks and sound. Lightweight and easy to play with a 30"short scale neck. The spruce centre block ensures notes speak fully, with plenty of sustain.